Family: Leading a Family - DVD Leader Kit is a resource that will help men accept their calling and experience God's blessing as the spiritual leaders to their wives and children. More than ever, families are desperate for spiritual leadership. And that starts with the husband and father. Are your men equipped and ready to assume the role and responsibility God has for them? This Get Healthy study from Kenny Luck can help and revolutionize not only the lives of the men in your church or small group, but also the lives of their wives and children -- and impact generations to come. 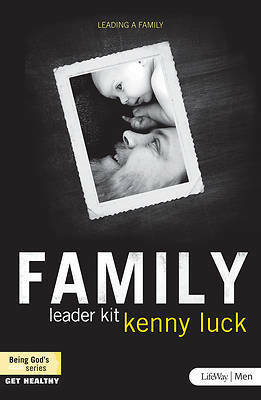 Kenny Luck is an ECPA platinum award-winning author of the God's Man and Every Man series of books and Bible studies. He is the pastor of men at Saddleback Church where over 7,000 men are connected in small groups, and he is the founder of Every Man Ministries, providing conferences, training, and resources to fuel the church-to-church men's movement worldwide.